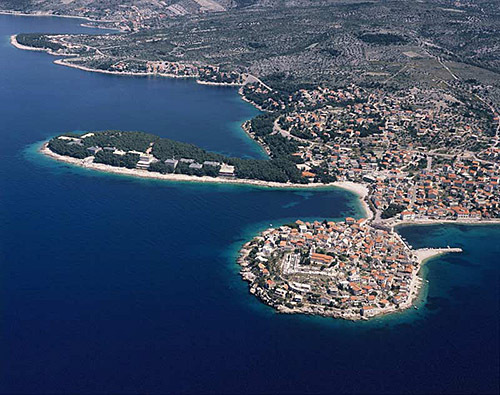 The island is found at the coordinates 43° 41' 57" North and 15° 31' 25" East - in the Adriatic sea, Croatia. 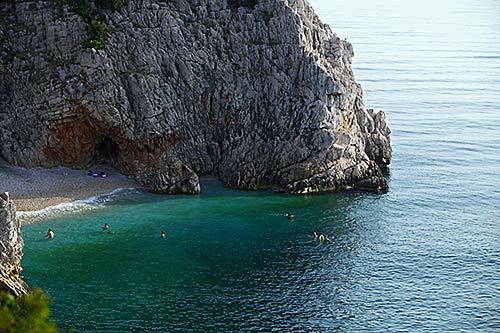 Skrizanj Veli is an unpopulated island with total area of 76873 square meters (m2). The lenght of its coastline is 1429 meters. There is no public transport to Skrizanj Veli. Blitvenica Lighthouse in Islet Blitvenica near Žirje at a distance of 5.71 miles. 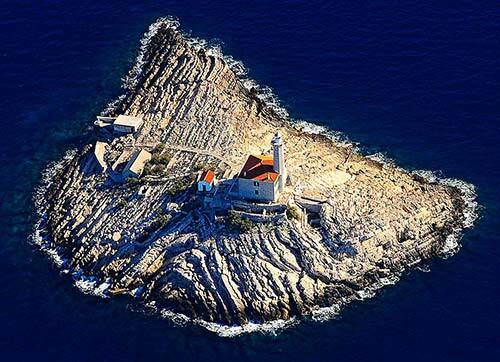 Prisnjak Lighthouse in Islet Prisnjak near Murter at a distance of 8.89 miles. Jadrija Lighthouse in Srima at a distance of 16.37 miles. Babac Lighthouse in Islet Babac near Pasman Island in Pasman Channel at a distance of 18.90 miles. 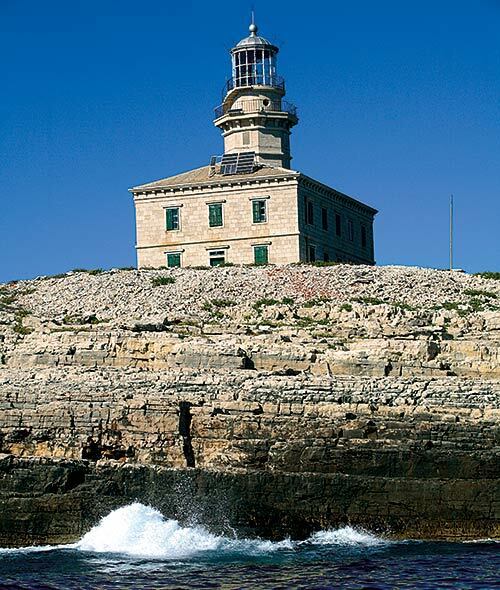 Sestrica vela (Tajer) Lighthouse in Dugi Otok Island at a distance of 19.10 miles. Mulo Lighthouse in Primošten at a distance of 23.51 miles. Murvica Lighthouse in Islet Murvica at a distance of 31.11 miles. ACI Marina Jezera (Murter) in at a distance of 8.41 miles. Marina Hramina (Murter) in at a distance of 9.49 miles. Marina Betina in at a distance of 9.66 miles. ACI Marina Piskera in at a distance of 9.92 miles. Marina Tribunj in at a distance of 11.71 miles. Skrizanj Mali Island at 0.26 miles away. Mrtovnjak (Kornati) Island at 0.80 miles away. Kurba Vela Island at 1.27 miles away. Samograd Island at 1.84 miles away. Lucmarinjak Island at 2.25 miles away. Okljuc Island at 2.48 miles away. Smokvica Mala (Kornati) Island at 2.50 miles away. 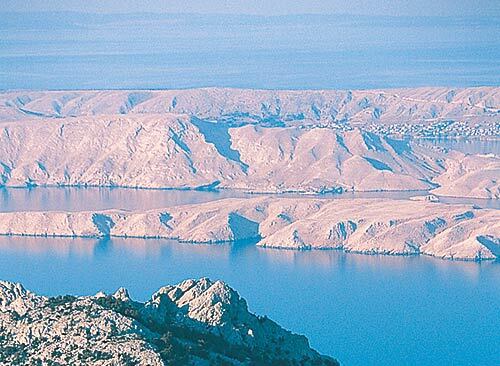 Smokvica Vela (Kornati) Island at 3.12 miles away. Sedlo Island at 3.27 miles away. Raparasnjak Island at 3.35 miles away.